UPDATE 1: NOAA adds a second storm watch beginning Saturday night. UPDATE 2: Saturday Storm Watch increase to 48 hours. UPDATE 3: NOAA believes Sunday night is a better bet than Saturday for North America and Europe. UPDATE 4: Saturday Storm Watch has just now been CANCELED. 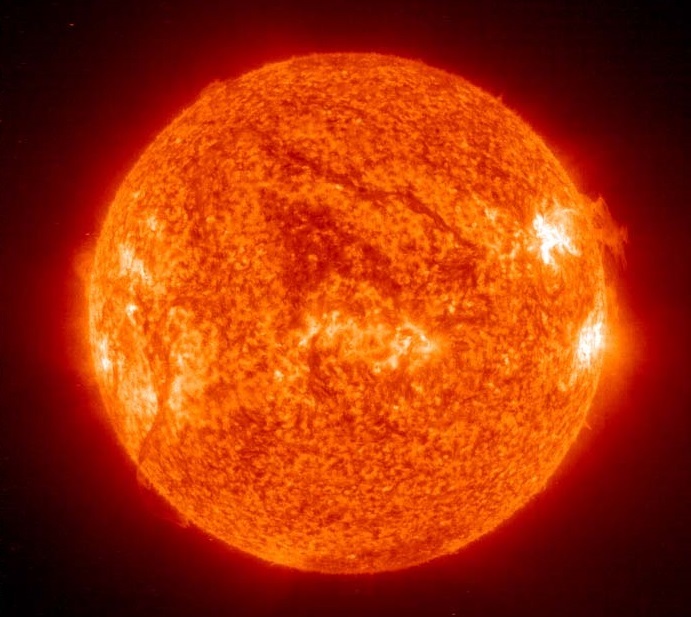 The National Oceanic and Atmospheric Administration (NOAA) Space Weather Prediction Center has issued two magnetic storm watches (one 24 hour watch, and a second for 48 hours) indicating a Coronal Mass Ejection (CME) or a high speed solar wind stream emanating from the Sun may be heading towards Earth. 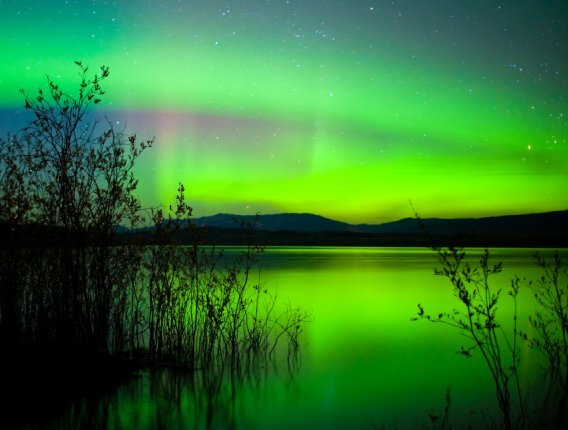 These fast moving charged particles can cause a Northern Lights display. The watches begin at the times indicated above. It should be noted that the beginning of a storm watch does not necessarily predict the arrival time of the aurora-causing particles, rather it indicates that, within the watch period, increased activity is expected. Real-time Aurora Borealis forecasts can be obtained at the Aurora Borealis Forecast page at Soft Serve News. NOAA estimates the CME or a high speed solar wind stream currently headed towards Earth might produce a Kp number of 5 (Minor) for both watches, but that's never fully known until it hits Earth.